Published by Charlott Holmåker 4 April, 2019 in Destination, Events, Tourism. You are invited to Sweden’s first beer week on 5–13 April! How about a tour on a Paddan canal boat, stopping at various breweries along the way? Or walking the dog from the Beerbliotek to Brewdog breweries? Or enjoying an IPA session, tap-room party or beer crawl in central Gothenburg? The possibilities are almost endless. Gothenburg is often called the beer capital of Sweden. And for good reason. The number of breweries has rocketed in Gothenburg and the surrounding area. 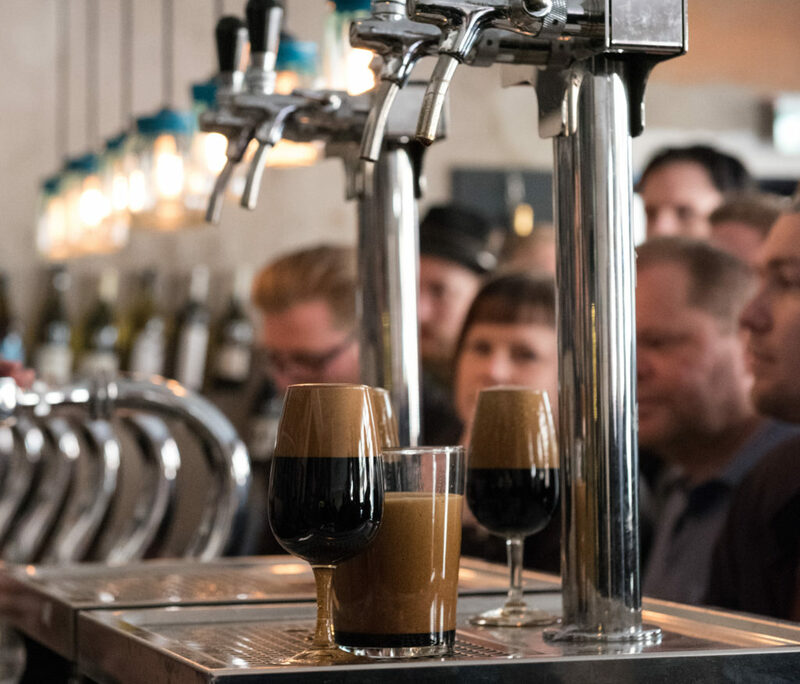 The highpoint is GBG Beer Week, which was the idea of Petur Olafsson and Fredrik Berggren and is about to take place for the fifth year in a row. “The aim of GBG Beer Week is to make the city’s beer culture thrive and grow even stronger. For one brilliant week in April we celebrate the diversity of Sweden’s rejuvenated beer culture,” says Petur Olafsson. Every brewery has a place at GBG Beer Week: small or large, local or international, broad in appeal or specialist. “Together we have set in motion a series of events, arranged by breweries, importers, restaurants, pubs and associations, that get the whole city fizzing with refreshing experiences. The culmination is A Beer & Whisky Fair, a two-day event that attracts over 23,500 visitors,” continues Fredrik Berggren. So why has Gothenburg become the Swedish beer capital? “Gothenburg has always been a beer city with a proud history of brewing. That tradition continues today, in a unique cooperative spirit as new and established breweries help and encourage each other. Many of these breweries are leading the way internationally, in quality, innovation and ambition,” says Petur Olafsson. By the way, it is probably not so strange that Gothenburg should be called Sweden’s beer capital. As reported in the regional newspaper, Göteborgs-Posten, in February, two 400-year-old beer taps were unearthed during the construction of the Västlänken rail link in the area around Skansen Lejonet. Beer taps like these were originally used to serve beer from barrels. In those days the people of Gothenburg brewed and drank a lot of beer. A tradition that the people of Gothenburg still hold close to their hearts! Published by Stefan Gadd 21 March, 2019 in Destination, Meetings, Tourism. 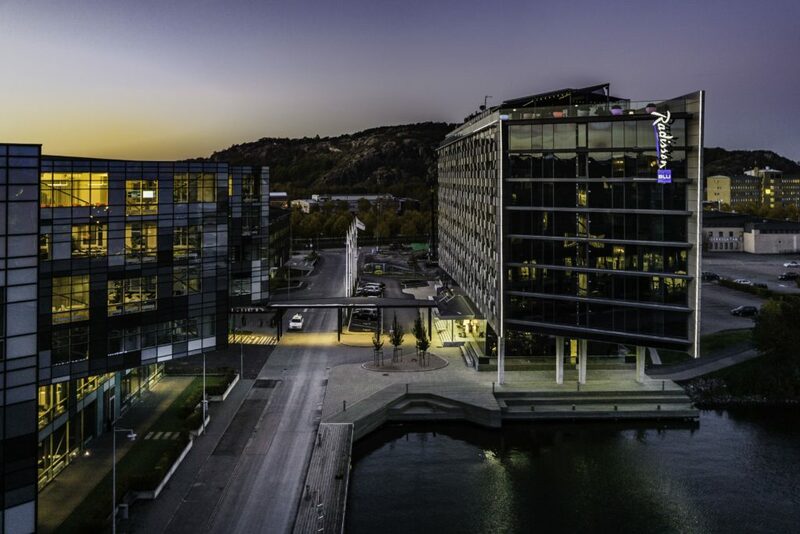 For 40 years, Gothenburg’s large hotels have been engaged in a unique partnership in which competitors team up to attract more visitors to Gothenburg. Today, the Association of Large Hotels is comprised of Gothenburg’s 23 largest hotels and is working more actively than ever. 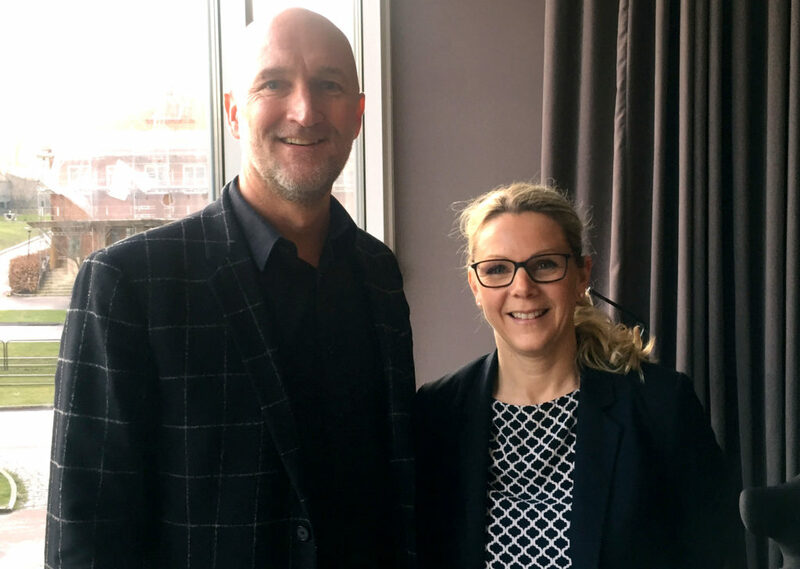 Kristian Andreasson is Regional Manager for Scandic Hotels in western Sweden, while Alice von Geijer is Hotel Director of Radisson Blu Riverside Hotel. But they are also colleagues, acting respectively as Chair and Deputy Chair of the Association of Large Hotels, Gothenburg. “The association works together to promote travel to Gothenburg and develop reasons for visits and overnight stays. We collaborate up to the point where a visitor decides to visit Gothenburg, which benefits all of us,” explains Kristian. “Of course we’re competitors, but we’re also colleagues with similar jobs. Together we address many ideas and issues of common concern, such as skills provision and how to ensure that Gothenburg and our industry continue to evolve and remain at the cutting edge. We maintain a high level of integrity and are good at keeping our roles separate,” says Alice. 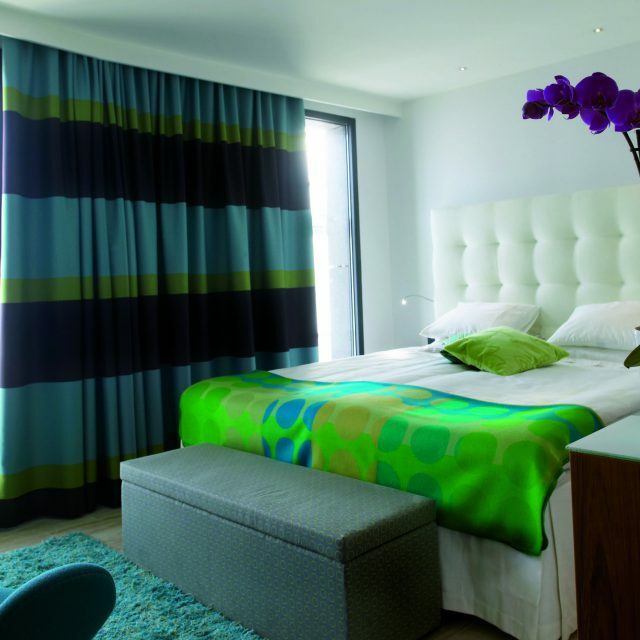 The Association of Large Hotels, Gothenburg, was founded in 1980 as a non-profit association. Back then, far fewer hotels met the membership criterion of having over 100 hotel rooms. Today there are 23 member hotels with approximately 7,000 hotel rooms and 4,500 employees between them. Gothenburg also has an association for smaller hotels: the Association of Gothenburg Hotels. Both associations participate actively in Göteborg & Co’s efforts to attract meetings and events and grow Gothenburg as a destination. “Our partnership allows us to discuss matters at a different level than is usually possible. For this to work, it is necessary to have Göteborg & Co as a coordinating link. Everyone knows they are a neutral party with no profit-making interest,” says Kristian. This working model allows all the hotels to be involved at an early stage in Gothenburg’s efforts to attract large scientific conferences or events. For an organiser, it is easier to have one point of contact for all hotels than contacting each hotel separately, as is common in other cities. “We want it to be simple to do business with Gothenburg, and this method works well. The partnership is unique and causes some degree of envy in Stockholm and Malmö,” says Alice. The business plan of the Association of Large Hotels comprises four focus areas: Cooperation, Accessibility, Safety and Skills Provision. The association deals with issues such as developing reasons for visiting Gothenburg, making the city more accessible, and conducting marketing and training. Examples of projects supported by the hotels include Autumn City and Halloween at Liseberg, the Volvo Ocean Race, and supplementary events in conjunction with major events. Other matters dealt with by the partnership include common safety and environmental certification and attracting conferences and events to the city. “Major conferences and events are extremely important: they bring many guests to our hotels and promote a positive image of the city. The visitors are often hugely impressed,” says Kristian. Several new hotels are being planned in Gothenburg. There is a strong will to invest, and Gothenburg will have about 4,000 new hotel rooms by the second half of the 2020s. This is over 30 per cent more than today. Meanwhile, housing and workplaces are being built at a rate not seen in Gothenburg for many years. “The whole city will grow, and this expansion benefits Gothenburg. Another of our aims is to actively develop new reasons for visiting. We in the hotel industry feel a need to participate and contribute in this respect,” explains Alice. Another role of the Association of Large Hotels is to collaborate with decision-makers over urban planning and development. A hotel contributes to a lively urban environment by attracting a flow of visitors and residents. Staycations are becoming increasingly popular. This is a form of tourism where residents or visitors from the region treat themselves to a weekend in a hotel rather than travelling further afield. “The initiatives we support and develop should also benefit Gothenburg’s residents. We want Gothenburg to be a great city to live in, both now and in the future,” says Kristian. 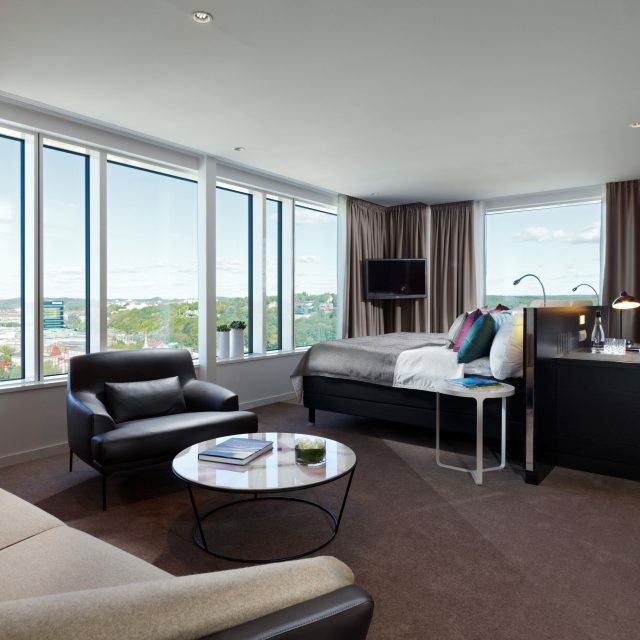 Stay at Sweden’s top three hotels – in Gothenburg! Published by Linda Nordberg 8 February, 2019 in Destination, Meetings, Tourism. 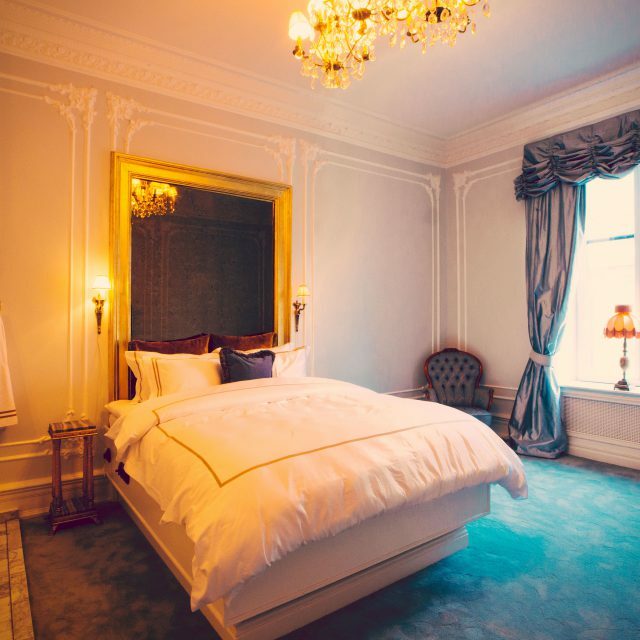 On the west coast of Sweden, in Gothenburg to be specific, you will find three hotels at the top of Tripadvisor’s list of the top 25 hotels in Sweden: Upper House is closely followed by the Hotel Pigalle and Avalon Hotel. This recognition comes from Tripadvisor’s Traveller’s Choice Awards 2019, which are based on reviews and opinions from Tripadvisor travellers over a period of one year. 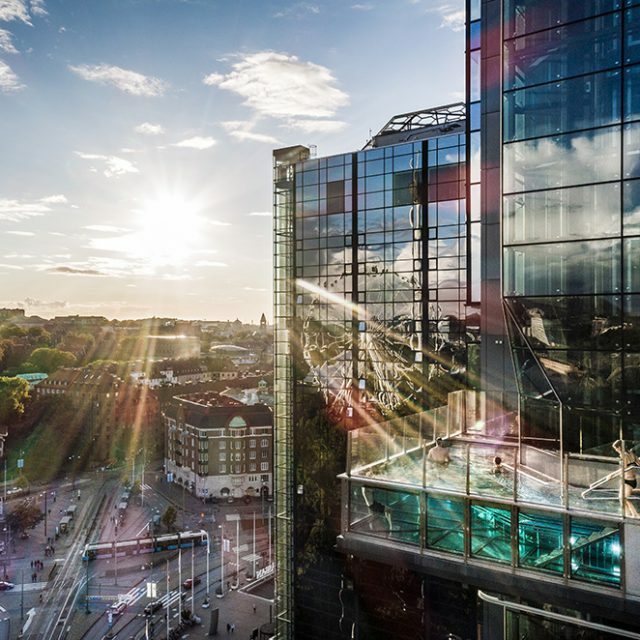 In 2018, Gothenburg took the top two places, but this year the city has taken the entire podium, with three city centre hotels: Upper House in first place, Hotel Pigalle in second and Avalon Hotel in third. Upper House tops the list for the third year in a row! All three hotels are ideal for visitors who want to experience and explore Gothenburg’s inner city on foot. They are close to museums, the opera house, parks, shopping, Michelin-starred restaurants, bars and cafés. Most are within walking distance. On 23 February the Röhsska Museum of Design and Craft will re-open after major refurbishment. The Röhsska Museum is the perfect place to explore design from different places and eras. The sauna in Frihamnen harbour on Hisingen is part of the preparations for Gothenburg’s 400-year anniversary in 2021. The sauna was designed by the German architectural collective Raumblabor Berlin. Its sheet-metal exterior is constructed from totally recycled material and the changing room walls are made from 12,000 recycled glass bottles. Along Magasinsgatan, one of the central arteries for shopping and dining in Gothenburg, you can find a great selection of unique designer shops, including the interior design store Artilleriet with its mix of modern and vintage, Rum 21 with its Scandinavian furniture and interior design goods, and Engelska Tapetmagasinet with its wallpapers, cushions and interior furnishings. Another shop that is worth a visit is Miksajo on Vallgatan – a unisex store that focuses on fashion, design and lifestyle accessories. Set in an old factory building in Lindome, just outside Gothenburg, is Spinneriet, which has been developed into a design centre. You’ll find several exciting shops, artists, second-hand shops and a cosy restaurant. 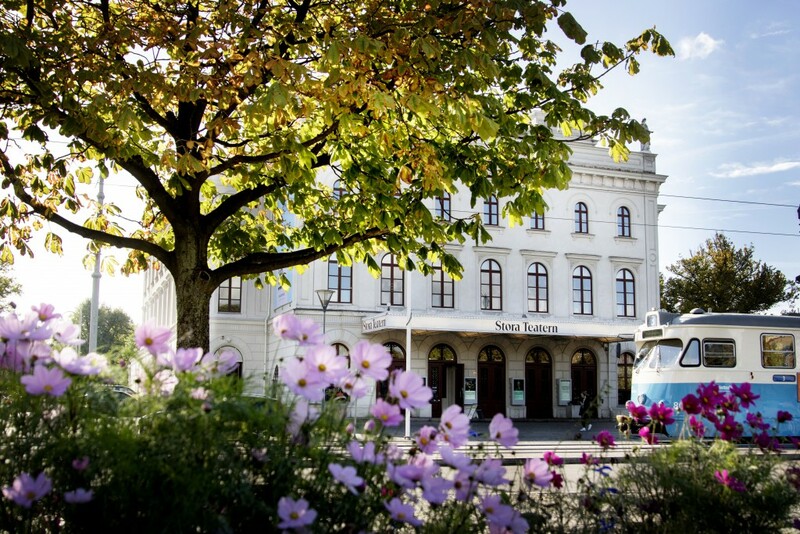 In addition to the top three places, the Dorsia Hotel & Restaurant took 21st place, and Sankt Jörgen Park took 24th place in Tripadvisor’s ranking. Published by Stefan Gadd 25 October, 2018 in Destination, Tourism. Open to the world – inclusive, green and dynamic, is the vision for Gothenburg. For two years in a row the city has been named world leader by Global Destinations Sustainability Index (GDSI). With its new tourism strategy, Gothenburg aims to step up the work even further. Earning a reputation as a clean city by the sea surrounded by lush forests and lakes, Gothenburg has plenty of good examples of environmental initiatives, also as a great meetings and events destination. In 2016 and 2017 the Swedish city received the leadership award by GDSI for its exemplary sustainability performance and commitments. This year, Gothenburg’s commitment takes one step further by launching a new tourism strategy that addresses overtourism, climate change, social responsibility and environmental issues, problems the tourism industry faces globally. – Global travel is expected to grow substantially in the future, and destinations must see the drawbacks and handle them seriously. Tourism must contribute to the local society, not drain it. Locals are also our most important ambassadors, and we wish to keep their support and for them to remain a vital part of our destination, says Katarina Thorstensson Manager for sustainable tourism development at Göteborg & Co. Instead of making a separate sustainability strategy, Gothenburg decided to make the sustainability efforts a part of its main strategies in the coming years. The recently launched business plan “Way to grow 2018 – 2020” sets a new standard where all three dimensions of sustainability – economic, social and ecological – are implemented in all strategies. The plan is developed in close collaboration with the stakeholders. More than 100 people representing the trade and industry, the academy and the city have participated in the process. – The city of Gothenburg has set an ambitious goal to double tourism by 2030. A growth like this must be sustainable and we as a destination organisation has a great responsibility to see to that the events and meetings we host, the hotels or attractions we offer, all are managed in a way that don’t jeopardize city life itself, says Katarina Thorstensson. Published by Pauline Pontois 22 October, 2018 in Events, Tourism, Trade and industry group. Gothenburg Design Festival starts today and will carry on until the 27th of October. It is organized by HDK – the Academy of Design and Crafts at the University of Gothenburg. The theme “openness” in design, form, architecture and arts and crafts will be discussed and analyzed trough exhibitions, shows and events arranged by teachers, researchers, students and design and crafts practitioners all around the city. Gothenburg Design Festival is an open platform for collaborative learning that uses artistic processes to reflect upon and experiment with design as an agent of change in the creation of socially sustainable futures. It explores new ideas for learning, work and social equality. Participants are welcome to listen, talk to and conduct experiments with students, teachers as well as national and international practitioners to see how design can be essential in creating a socially sustainable future. The festival organizes different workshops and seminars during the entire week in several places in Gothenburg. The audience can for example create physical representations of the internet or build models in small scales. The cultural center Blå Stället will reflect upon how textiles can be perceived and used in architecture. The need to reintroduce the human perspective in public discussions, as well as diversity in artistic education will also be discussed during the week. 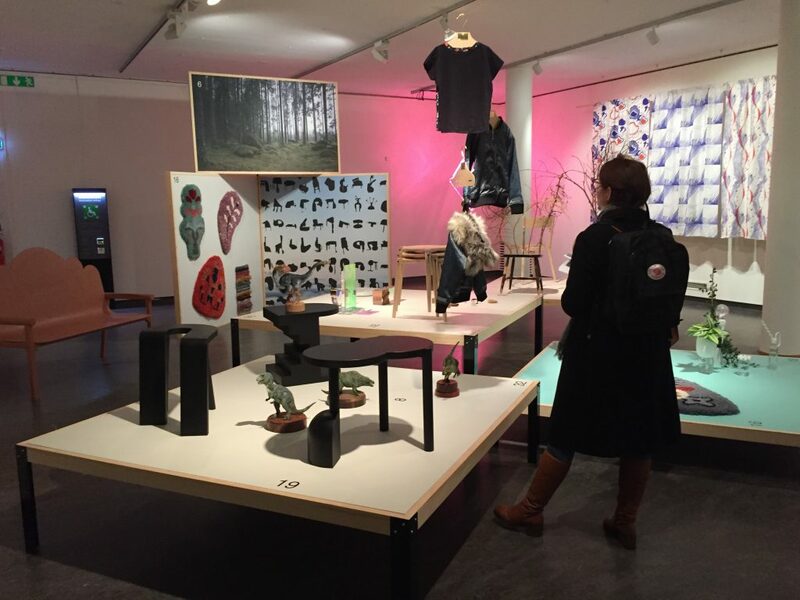 Everyone can even discover the graduation work of HDK’s master’s students or artworks created by newly graduated creators that are auctioned at Göteborgs Auktionsverk. The festival is organized by HDK – Academy of Design and Crafts, University of Gothenburg – in collaboration with, among others, the cultural center Blå Stället, Kultur i Väst, Chalmers Architecture, Röhsska museum for Design and Crafts, Lindholmen Science Park, ICIA – Institute for Contemporary Ideas and Art, IASPIS, Public Art Agency Sweden, City of Gothenburg among others. The festival is carried out with the economic support of the Trade and Industry Group at Göteborg & Co. Tagged with Gothenburg Design Festival. Published by Pauline Pontois 23 August, 2018 in Destination, Gothenburg 400 years 2021, Tourism. 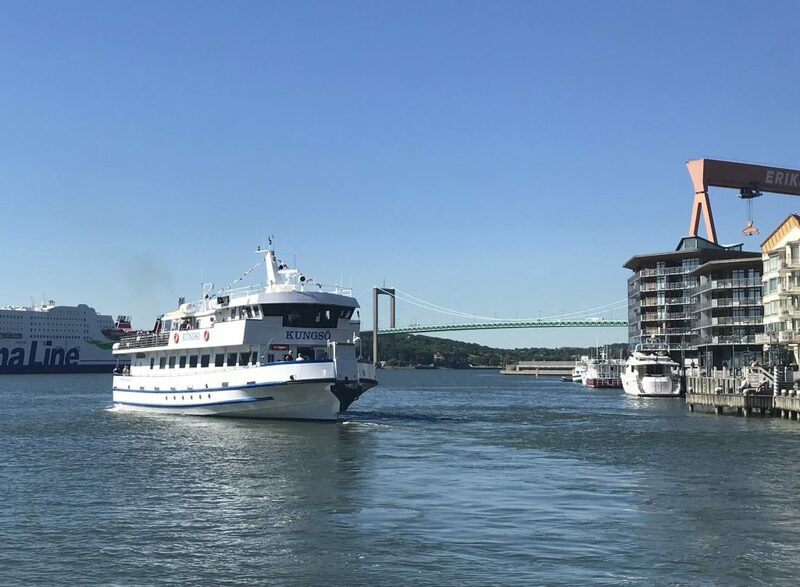 Things have gone swimmingly for Styrsöbolaget’s new ferry service between Stenpiren in central Gothenburg and the island Hönö Klåva in Gothenburg’s northern archipelago. Nearly 33 500 passengers used the service between the 26th of June and the 19th of August. “The route has had a sensational start, proving there is high demand for transport to the northern archipelago. It is fantastic that nearly 33 500 passengers have used the service. We are proud and delighted to have achieved this result and satisfied residents’ request to link the archipelago to the city centre, something we have wanted to do for several years. We aim for this to become a permanent route,” says Bertil Pevantus, CEO of Styrsöbolaget and Business Area Manager for Ferries at Transdev Sverige AB. So far, the ferry has run four times a day from Stenpiren to the island Hönö Klåva via Eriksberg. The trip takes 60 minutes and a single ticket costs 75 SEK. The route is operated by Styrsöbolaget. Västtrafik travel tickets are not valid on the ferries. The route was opened by Styrsöbolaget as part of the Accessible Archipelago project for Gothenburg’s 400th anniversary 2021, in response to Gothenburg residents’ request for easier access to the archipelago. Öckerö Municipality has noted an increase in summer visitors to the Öckerö islands, particularly to Hönö Klåva. “There has been a sharp increase in visitors to the Öckerö islands this summer, particularly to Hönö Klåva, and all the islands appear to have seen a significant rise in visitors. There has been a marked rise in cycling tourism, which is gratifying as we have been promoting this type of tourism. Island hopping has also increased greatly in this part of the archipelago. We have no official trade figures from Klåva, but from speaking to people it seems that all businesses have at least doubled their sales. We are also delighted that many local residents are using the ferry to travel to central Gothenburg. 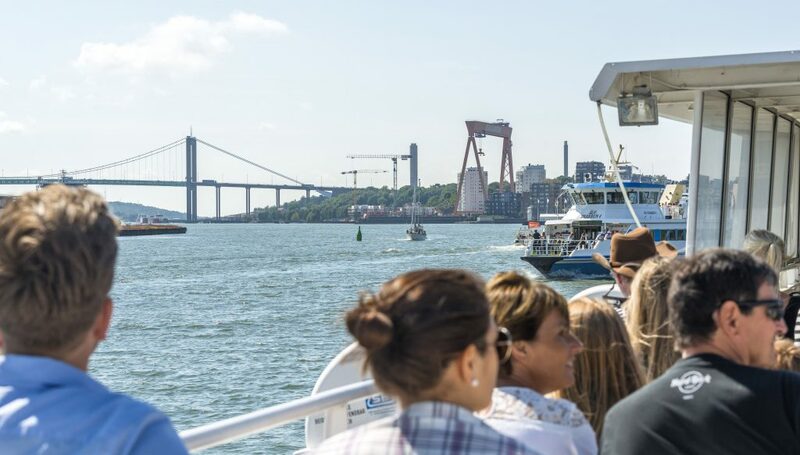 This proves that there is also a demand for the ferry service among archipelago residents,” says Ronald Johansson, Head of Tourism and Industry at Öckerö Municipality. Published by Pauline Pontois 27 June, 2018 in Destination, Gothenburg 400 years 2021, Tourism. The 26th of June saw the launch of the new archipelago ferry service between Stenpiren and the island Hönö Klåva via Eriksberg. The Kungsö ferry will have four daily departures in each direction from Tuesday to Sunday between the 26th of June and the 19th of August. The new route is operated by Styrsöbolaget as part of the Accessible Archipelago project for Gothenburg’s 400th anniversary 2021. It is a response to Gothenburg residents’ request for easier access to the archipelago from central Gothenburg. The launch ceremony started at 09.30 am. 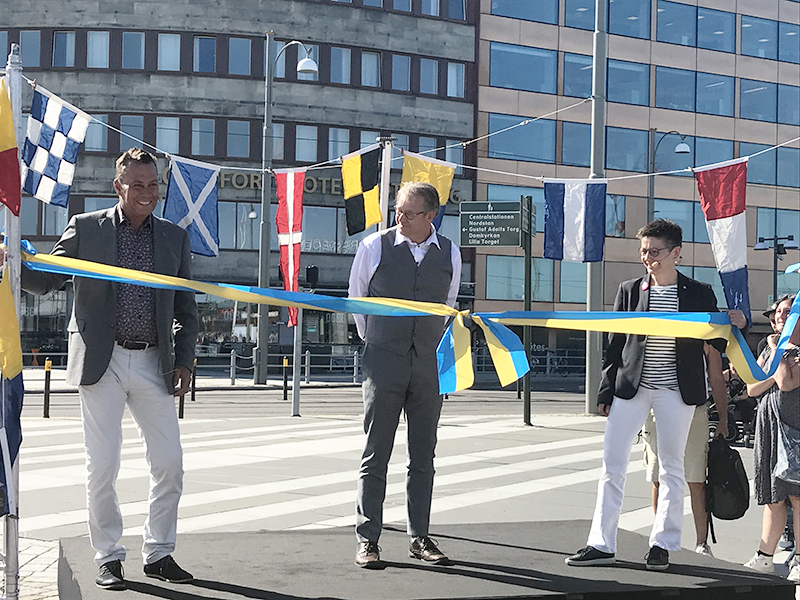 Bertil Pevantus, CEO of Styrsöbolaget, Ann-Sofie Hermansson (S), Chair of Gothenburg City Executive Board, and Arne Lernhag (M), Chair of Öckerö City Executive Board, presented the initiative and tied a ribbon symbolising a link between the city and the archipelago. After this, the first trip departed at 10.00 am packed with tourists and residents from Gothenburg and Öckerö. “We’re always delighted to offer passengers new services and experiences. We believe the new route will contribute to the city’s and the archipelago’s development by facilitating public transport and reducing car traffic in the region. We have wanted to open a route between Gothenburg and the northern archipelago for a long time. Now it’s finally here, and we hope it will meet with passengers’ approval,” says Bertil Pevantus, CEO of Styrsöbolaget and Business Area Manager for Ferries at Transdev Sverige AB. Published by Pauline Pontois 23 April, 2018 in Destination, Gothenburg 400 years 2021, Tourism. Between the 26th of June and the 19th of August, four daily ferry trips will run from Stenpiren to the island Hönö Klåva via Eriksberg. The trip will take 60 minutes and a single ticket will cost 75 SEK. Children under 12 years travel free of charge. Coffee, tea, snacks and light lunches will be sold on board. Passengers can bring a bicycle on board. Västtrafik travel tickets are not valid on the ferries. Onward transport connections are available from the island Hönö all the way to Vinga. One of the ideas put forward by Gothenburg’s residents for the 400th anniversary was to improve transport connections between the city and the archipelago. This summer, a major step will be taken towards satisfying this request. When Styrsöbolaget and the Kungsö ferry start operating between Stenpiren and Hönö Klåva via Eriksberg, the northern archipelago will become accessible from the city centre.